How to win NaNoWriMo? 5 Golden tips from NaNoWriMo winners! Finally, it’s November, the sweet November of love and above all the much-awaited challenge for the writers falls in this particular month – NaNoWriMo. Almost half of the people who participate give up in just 15 days. NaNoWriMo is not the cocktail that you drink in just one sip, you gotta plan & plan and plan. Make your schedule, follow it and bang. Many writers at NaNoWriMo start up fulfilling their daily target, but as they reach towards the end, they start to get easy on their target. And, that’s where the real problem begins. If you have to win it all, you have to give it all, it’s as simple as it sounds. Every year millions of people search out google for “ How to win NaNoWriMo ”. What do you think? What will they get? 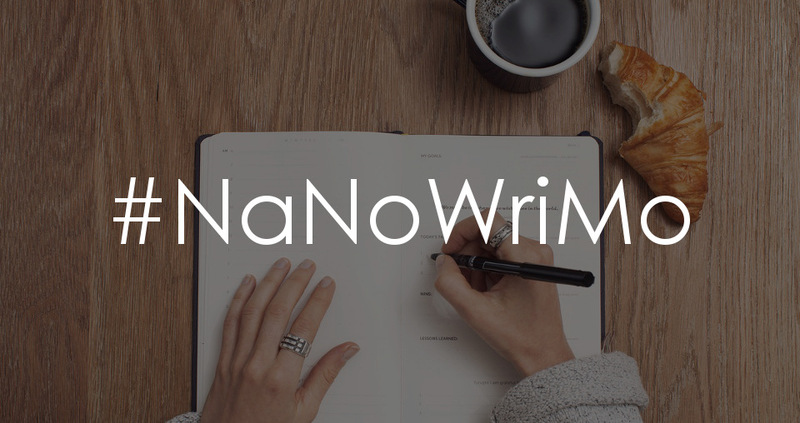 A full fledged recipe to win NaNoWriMo? Let’s do it together, let’s dig out your power that is going to make you become the winner of the NaNaWriMo this year. #1. Write what you believe in. If ever you think of writing a full-fledged novel, then this is the right time. Many people will advise you to just look out for 50,000 words and complete the challenge. I advise you to look for your own story. Anything that you were thinking of writing lately, do it now, do it in November. Why I am stressing over “Write what you believe in” because in that way, you are not limited in terms of imagination, story lineup, thought process and character building. Don’t get buzzed up with the questions of your mind saying “I can’t do it”,“I will end up as a failure”. Instead, make a proper schedule and follow it. Smart and steady wins the race. #4. Drinking Coffee makes NaNoWriMo easier! To know about the magic of coffee on your writing, do read this article. #5. Make a NaNoWriMo buddy. You can have a companion. He/she can be any of your know faces, but one thing you should keep in mind that the person whom you will be choosing is worth to look for, means passionate about writing. You cannot place your bet on a slugabed. #6. Don’t care about editing. A lot of WriMos wasted their time in editing, as a result, they lag behind and couldn’t complete the words. Don’t waste your time on editing. Write at least your first draft in time. #7. Be happy throughout NaNoWriMo. Try to be happy as much as possible. Happiness will make your words shine, and eventually, you will start to enjoy this challenge more. And, once you learn that, you will no more be just a participant, but a winner. Simple enough, right? No secret recipe to winning. Just you who can make it happen. Are you still in doubt? Are you still not able to get over your fears? Let me help you a little more, the best way to score well in the examination is to take advice from those who have already been a part of it. Yes, you heard me right. Here are some golden tips from the NaNoWriMo Winners themselves. Do something, anything that doesn’t involve writing once in a while. Take a walk, go to a museum, do yoga, paint your toenails, spin around in circles. Shake your brain up so the ideas can move around. Never delete anything. If you can’t stand to look at it, change the font to white and keep going. Keep your head in the clouds, your hands on the keyboard, and remember that Rome wasn’t built in a day. You’re allowed to put writing first. Silence your inner editor. Don’t worry; just write. Go, go, go. Get that first draft down on the page and stop talking about writing it someday.